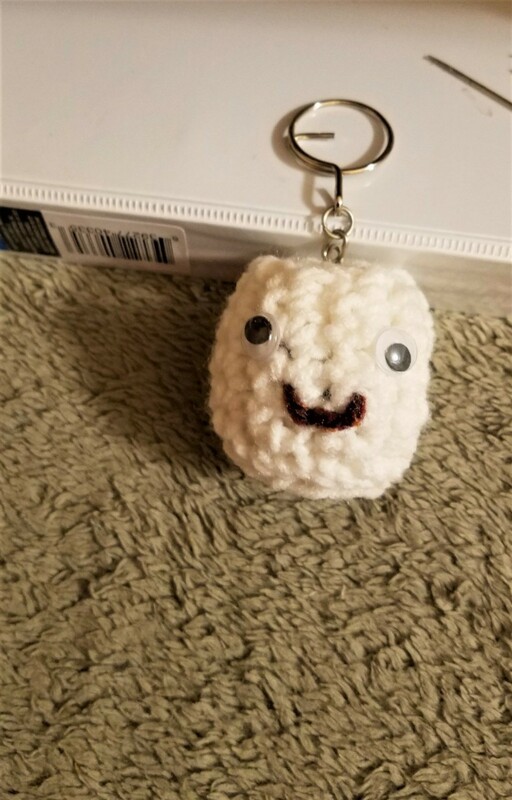 I saw these cute crochet marshmallow keyring fobs on Pinterest, but made my own design. You will have to forgive the shots on the bed. I am nursing a bad back. So, here is what I did. I chained 9 and made a single crochet in the 2nd chain, and each one to the end. Total 8 singles. 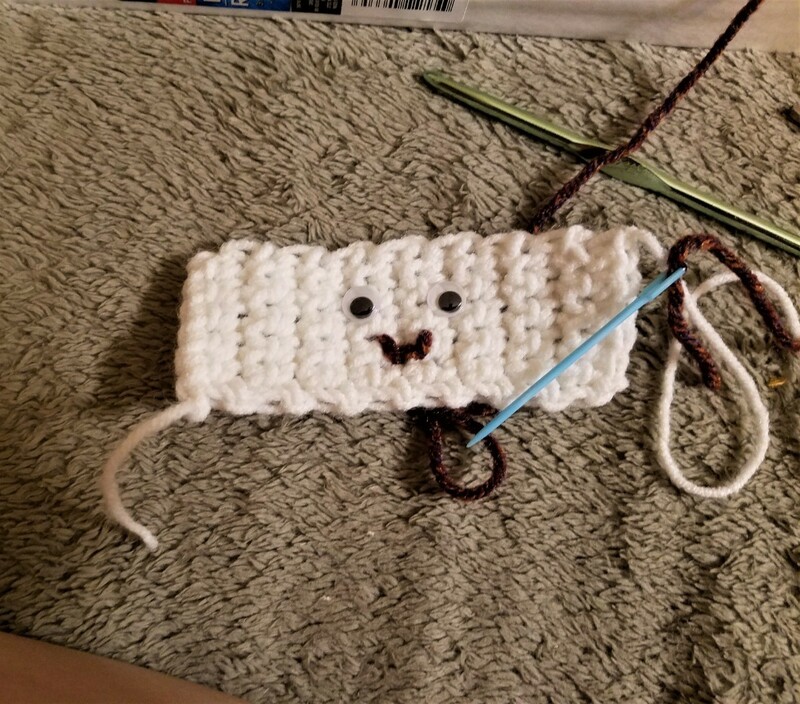 Turn and continue till you have 16 rows, leaving a 12" tail. 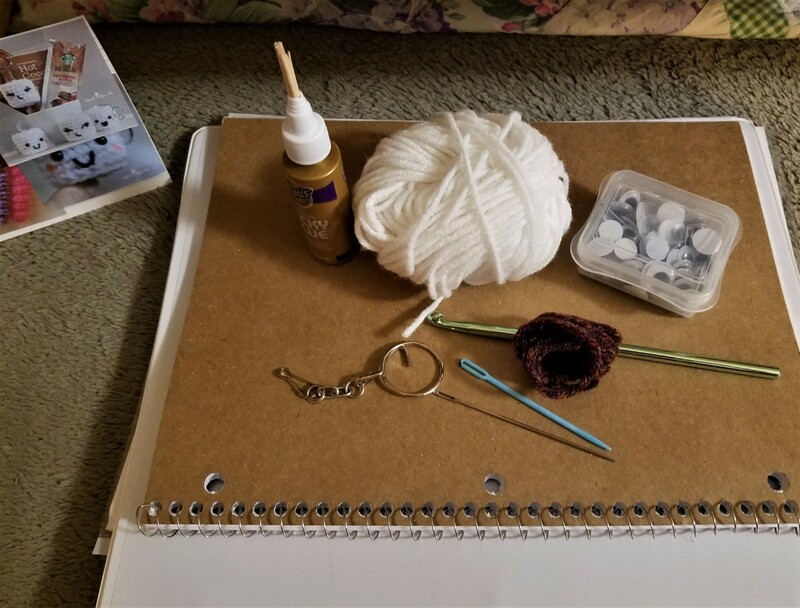 If you are not a seasoned crocheter, you might look and see just 8 rows. Each one of these "humps" represents two rows, but look like one. 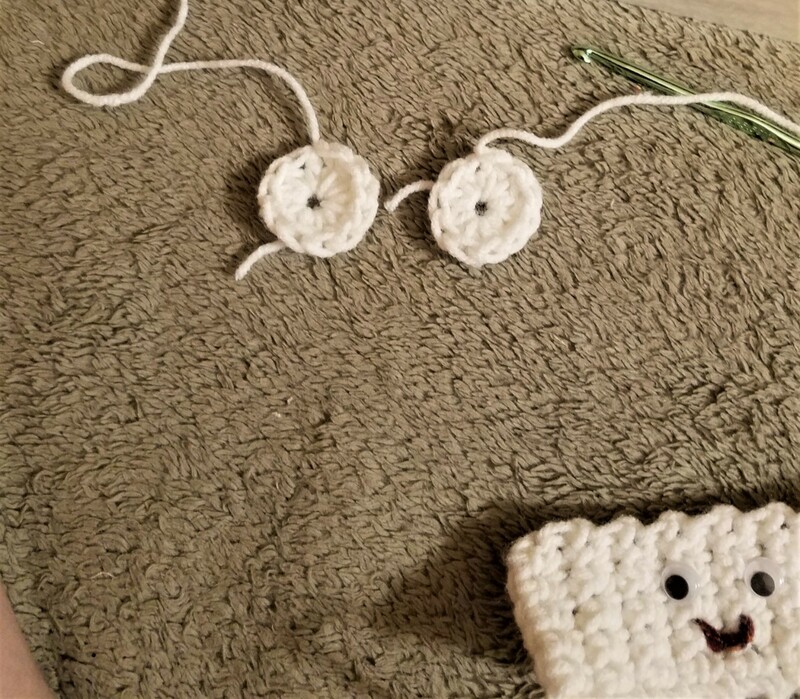 When that is done, glue the eyes on. I used a fabric glue as I knew my key ring would never be outside. This is going in my car. 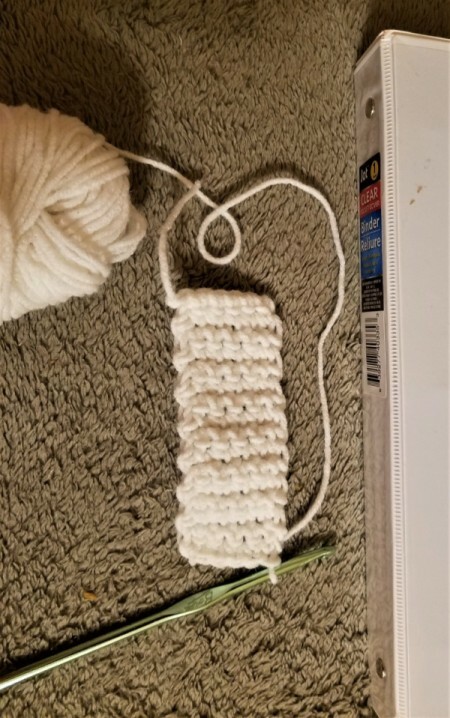 You can also use the kind that snap through the yarn to the back, but I didn't have any. Now to the mouth. I just made a downward slant, one across the bottom, and another up the side. This is the simplest mouth you can make. Others can be used if you want the mouth to be a bit "snarky" or "silly". I just wanted mine happy. Then you make the top and bottom. Chain 2 and make 9 doubles in the first chain from hook. Join and break off just one, leaving a 12" tail on the other. 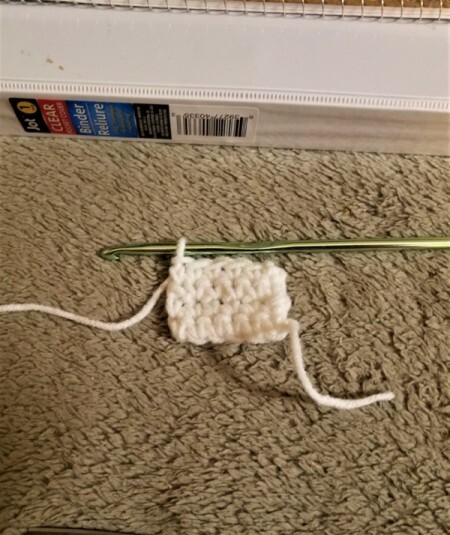 Using your needle, sew the one with the tail to the bottom of the face. This is important. Then sew up the back seam at the same time. Your work should match pretty much perfectly. 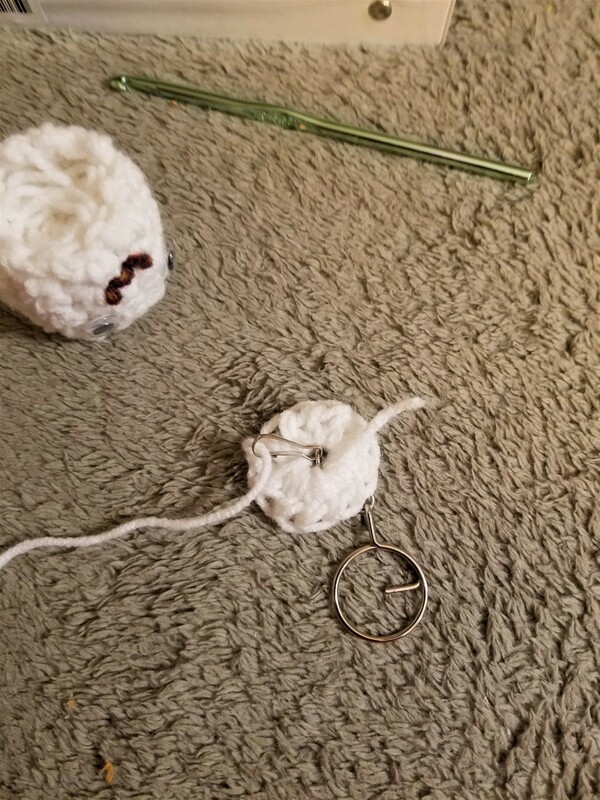 If not, say the circle is too big, unravel and make them Half Doubles instead of Doubles. But you should be fine either way. When you have the bottom done, stuff it. I used yarn as I had nothing else to work with at the time. Then you are ready to put the top on. I had a funky kind of key chain so if yours is different, connect accordingly. I inserted the clip end and then tied it to the top circle. 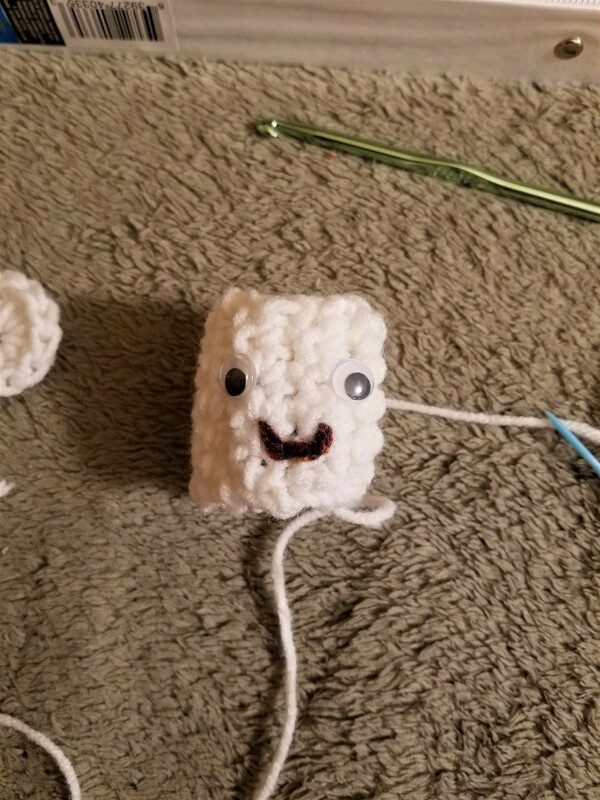 As it was out and functional, I sewed the top to the "body" of the marshmallow. You are now done!! N-JOY!! Oh yay! I'm a huge marshmallow fiend so these hit the spot! I am very happy you like them. Been meaning to do more crocheting and found that smaller items are key. 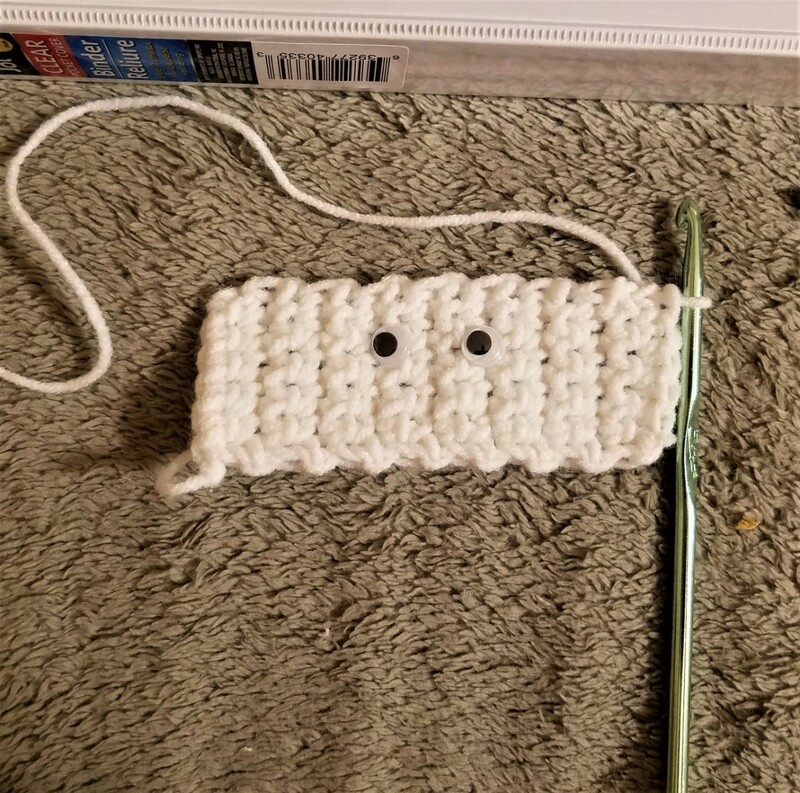 Quick, cheap, easy for others to do if they want and cute!! This is the cutest thing ever . You can personalize by putting dif color hair on it [just a little so it will still look lik e a marshmallow! Yep. You could even set them on a graham cracker and a chocolate bar. Take a photo and say "I love you 'smore' than yesterday"! !